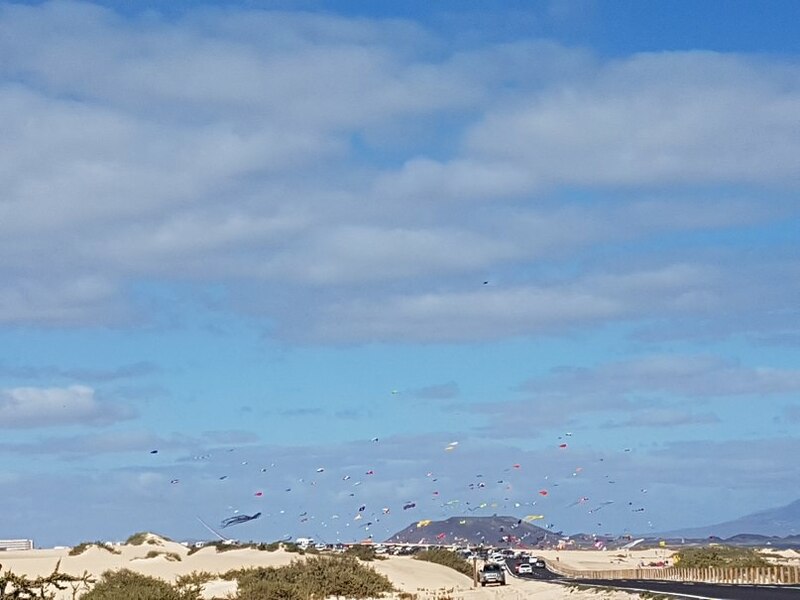 Does anyone know where is best to park for the kite festival at Corralejo dunes. 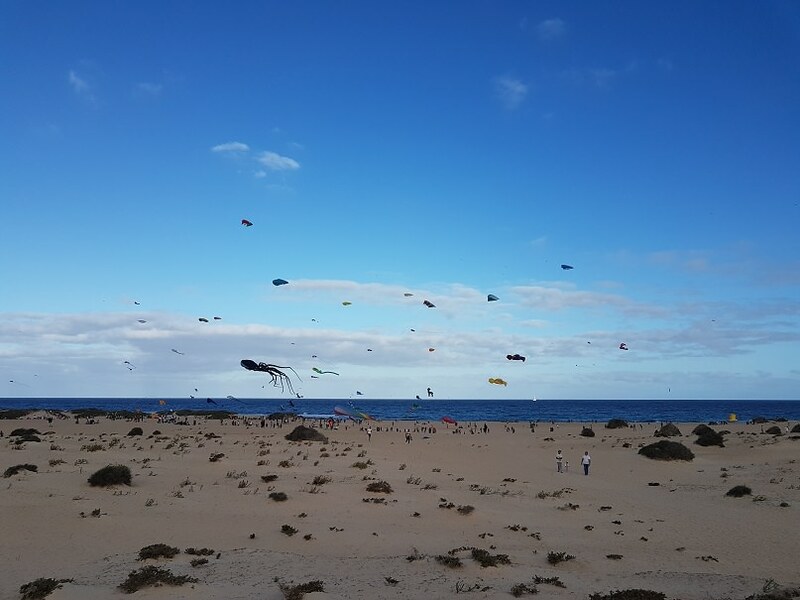 You'll see the kites as you approach Playa de Burro at the dunes. Just pull in to the side of the road as soon as you can. Be careful which side of the road you pull over on! Got there at 10.15am and only a few parking spaces left on shore side, phew. When we left at 4pm there were cars stuck in sand on opposite side of road, seen breakdown wagon helping some people. Meant to say what a fantastic day we had. We helped the Red Baron get airborne and I managed to fly my 2 line stunt kite. 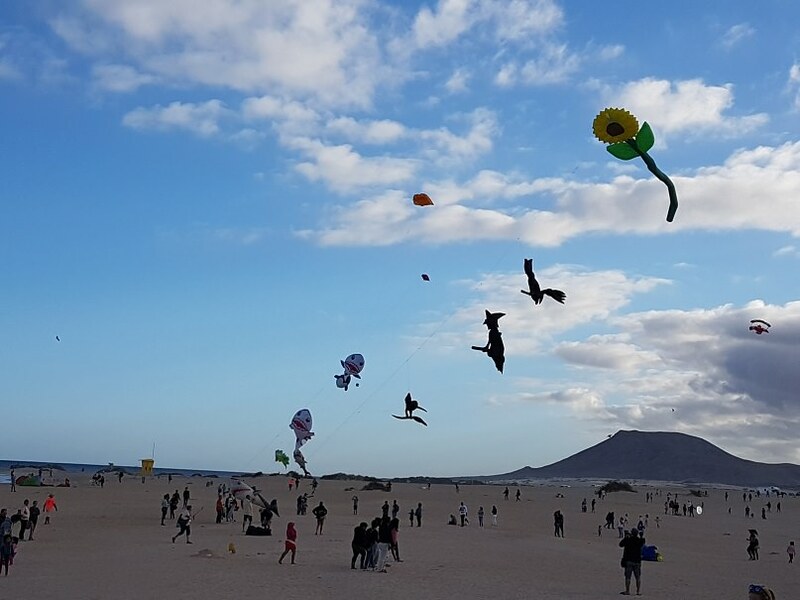 I got a shot of a quad line kite and that's me converted, time to upgrade. If that quadliner is a mattress power kite than think twice. I got a shot of a quad line kite and that's me converted, time to upgrade. 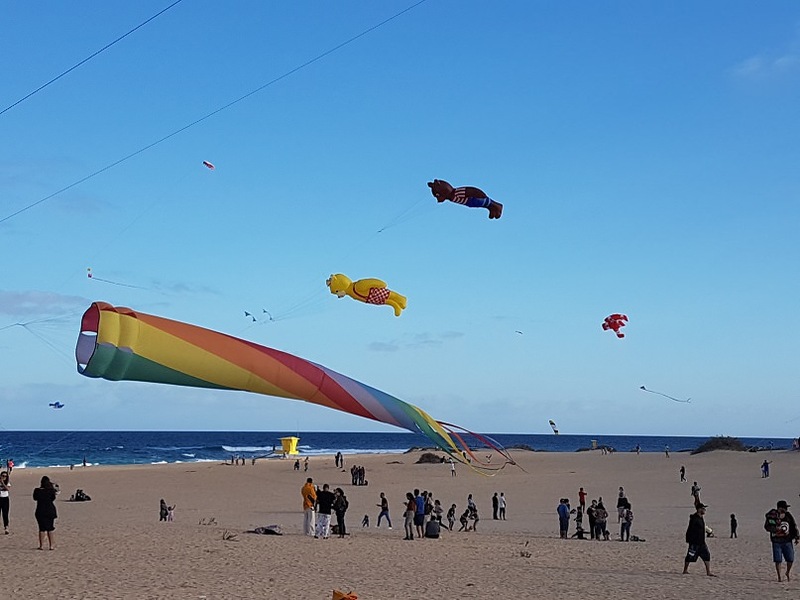 Look how a variation of these kites are used for kitesurfing and how they can pull the surfer way up into the air. 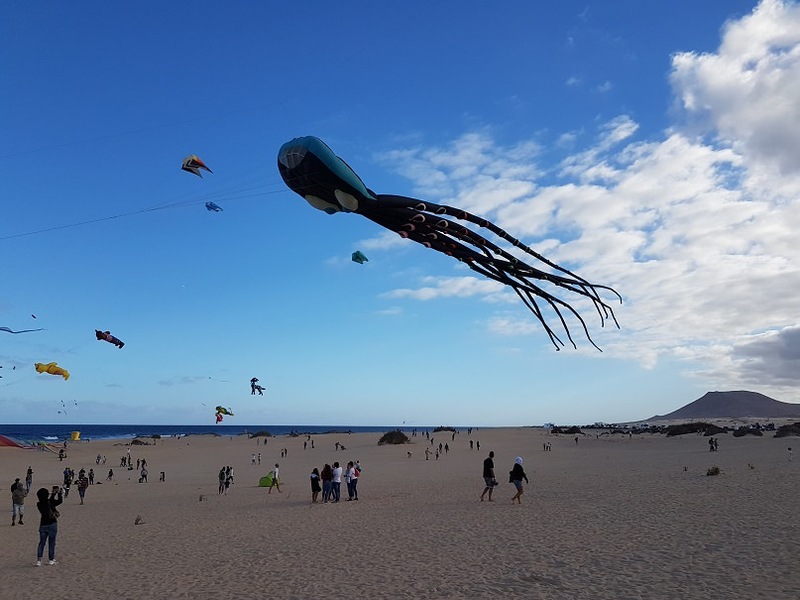 With a quad liner mattress you can normally "kill" the kite with the bottom lines, but with the hard and often tricky winds on fuerteventura this doesn't always work. 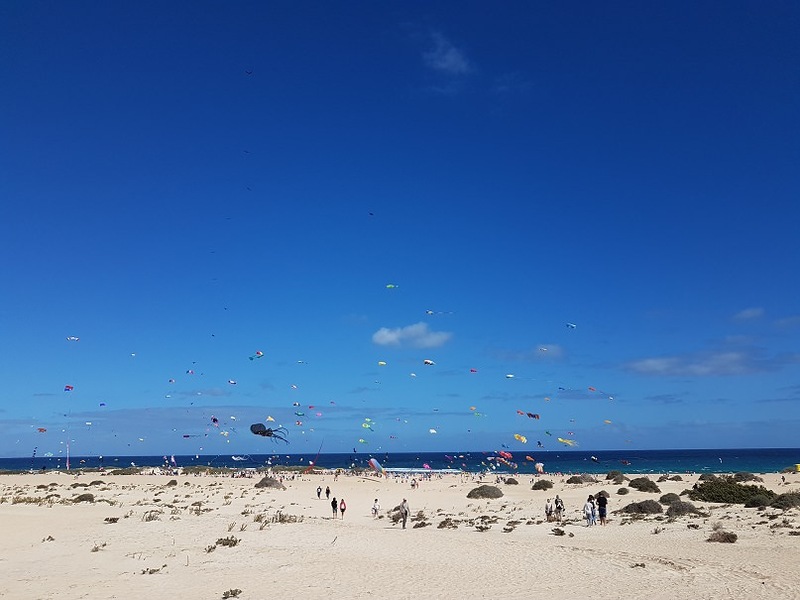 Some time ago, kiting on papagayo beach (lanzarote) I was on my way to be plastered against the cliff so I had to let go of the kite which flew away, leaving me a long drop on a very hard beach!